SEO, where do we begin? For years the term “SEO” (search engine optimization) has intimidated, motivated and confused business owners in their eternal quest to rank higher in a Google search. They don’t know what it is, but they know they need it! But to truly increase traffic to your site, it’s important to understand that today’s SEO tactics must work hand-in-hand with content marketing. Five years ago, stuffing your website with keywords in the hopes that Google would equate that with topic authority was a genuine strategy that WORKED! Once Google caught on, though, they put systems in place to improve the quality of user’s search, discounting bogus linking and massive amounts of unreadable content. So, rather than peppering your site and blog entries with keywords, creating valuable content and categorizing and tagging said content has become an important step in SEO. Then it becomes a simple exercise in indexing and categorizing your blog so that users AND search engines can find you. Pro Tip: Most website and blog platforms will have a user-friendly backend widget that will help you make the most out of tags. Click here to read WordPress’ guide. 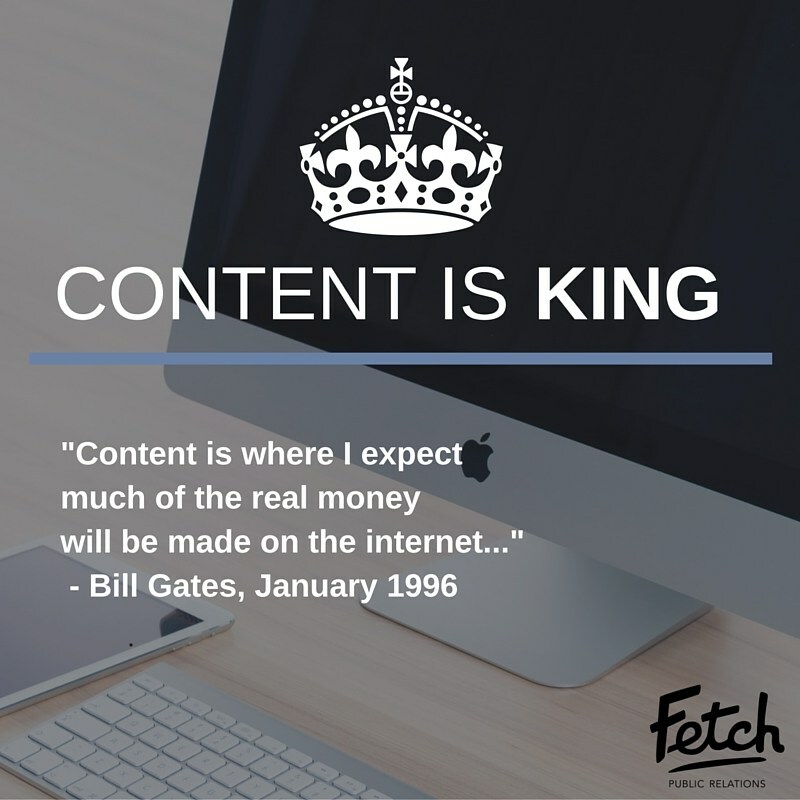 Bill Gates wrote an article in 1996, entitled “Content is King,” predicting that content will become the key to successful internet marketing. There’s plenty of debate over what that exactly means – possibly all of the clicks on ads housing fresh content – but content in general is understood to be created for the consumer rather than the search engine. You’ll visit a site because you WANT TO, not because Google told you to. As you begin planning your content, continue to keep your audience in mind. What do they like to read? What images grab their attention? What keeps them coming back? Brainstorm what you want to say and then decided when and how you want to say it. Pro Tip: No content marketing plan is complete without a killer calendar. Hubspot offers a free template to get you started. The online marketing sweetspot is when your website has a high search engine ranking AND consumers return to your site to read the fantastic information you offer. Keep tabs on your social channels and web traffic to find out if your content is resonating and how you can change it accordingly. Google Analytics hosts a ton of tools to help you keep up on your successes so you can continue to increase traffic to your site. 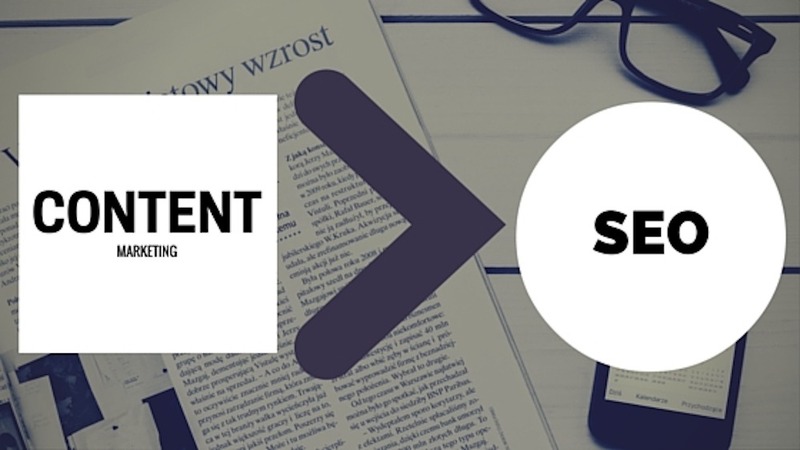 Ergo, you need SEO and content marketing to create a winning site. Pro Tip: Keep your content topics timely and your keywords fresh by regularly checking Google Trends. You’ll also find related keywords and regional interest. And since there isn’t a one-size-fits-all strategy for different businesses or even industries, it’s important to consult with an expert to develop your plan. If you’d like to discuss next steps in building your brand’s online presence, give us a shout.